Opt-in for early access to new VyprVPN features before they're released! Want to try new VyprVPN features before they are released? Giganews members with VyprVPN can now opt-in to receive Beta app updates for VyprVPN for Windows and Mac. Be first to know when Golden Frog is working on something new for VyprVPN! To begin receiving Beta updates, simply install version 2.3.1 or higher of VyprVPN for Windows or Mac. After updating VyprVPN, simply select the new feature under "Options/Preferences" to opt-in to receive Beta updates. With this feature enabled, you will get notifications whenever a new Beta version is available. Please test out the new features and then share your feedback! If a Beta version isn't working for you, simply uninstall the VyprVPN Beta version and re-install the current production release for VyprVPN for Windows or Mac. By participating in the VyprVPN Beta, you can share your feedback earlier in the development process while getting early access to new features. Golden Frog Added a New VyprVPN Server Location in Brazil! Golden Frog launched their first South American VyprVPN server location in São Paulo, Brazil and it is now available for all protocols! The 2014 World Cup in Brazil kicks off June 12th and many of you may be traveling to see the games. Now you can secure your connection on unknown WiFi hotspots, access your favorite sites and maintain fast speeds, all by connecting to the new Brazil server location. During the most recent Winter Olympics games, many people traveled to Sochi, and were able to use VyprVPN to stay secure. Connect to Golden Frog's new VyprVPN server in Brazil this June and stay safe during the World Cup! VyprVPN Mobile - To enable Brazil as an option using VyprVPN Mobile, simply log out of the app and log back in. Automatic Connect on Wi-Fi and Cellular networks now available! 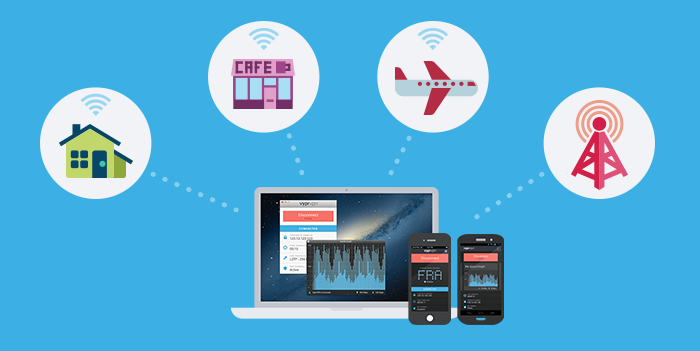 Public Wi-Fi hotspots at coffee shops, airport and hotels have become increasingly insecure. Cellular networks also share similar security concerns. Even worse, cellular carriers are also leveraging Wi-Fi to carry smartphone traffic in order to alleviate cellular network traffic, compromising mobile communications. However, users are sometimes too busy or forget to turn on VyprVPN when accessing insecure Wi-Fi and cellular networks. Our partner Golden Frog wants to make it easier for users to protect themselves, so that's why they added the automatic connect on unknown Wi-Fi and cellular settings into the 2.3 versions of the Android, Windows and Mac apps. Unfortunately, due to iOS restrictions, Golden Frog is not able to offer the automatic connect settings for the VyprVPN for iOS app at this time. Connect on Unknown Wi-Fi Networks - When a user connects to an unknown Wi-Fi network, VyprVPN will automatically connect and encrypt all Internet traffic. Users may also exclude specific, "known" networks they consider to be secure and don't want VyprVPN to automatically connect. Connect on Cellular - When a user is connected to a cellular network, VyprVPN will automatically connect. Automatic Reconnect - Anytime VyprVPN is disconnected without the user manually choosing to do so, the app will attempt to reconnect. Please read the change logs for Windows, Mac, and Android for additional VyprVPN 2.3 updates. How to Update to VyprVPN 2.3? It's been a rough year for the Internet. With everything from the NSA controversy, to data collection by corporations, to the repeal of Net Neutrality, we could all use a good time. 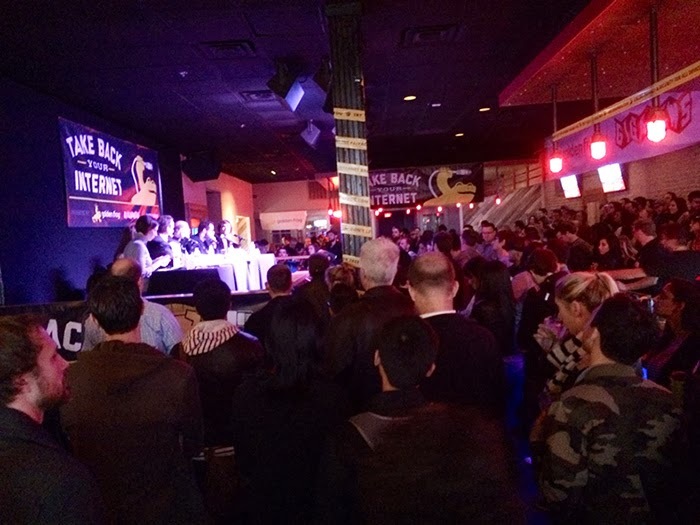 With that in mind, Giganews in partnership with Golden Frog and Data Foundry is hosting its second annual "Take Back Your Internet" party during SXSW. 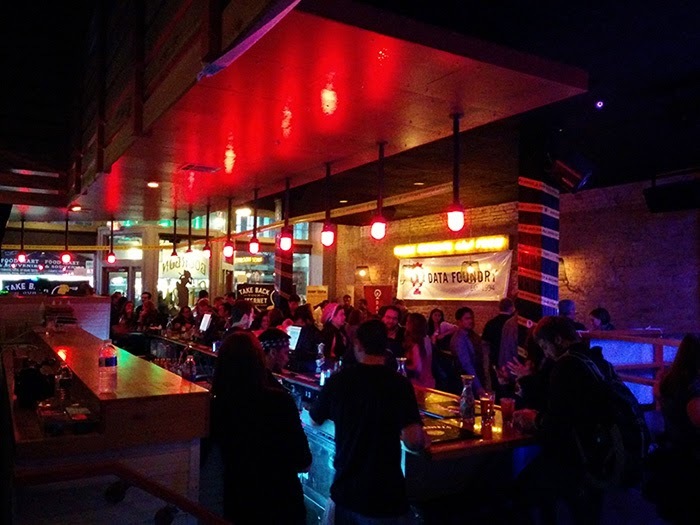 We'd like to invite you to join us on Sunday, March 9 in downtown Austin for an evening of networking with your fellow netizens who care as much as you do about online privacy. As a VERY COOL added bonus, we've recruited some of the leading online privacy advocates in the world for an entertaining and informative panel discussion about the current and future state of online privacy. Various surveys indicate an overwhelming majority of people are concerned about their online privacy and are in favor of political initiatives and technical solutions that help preserve their privacy. But, is that still possible in an age of widespread Internet censorship, data collection, and mass surveillance by governments? We all leave a footprint online, but what can be done to keep it private when needed? Our expert panel will examine the current state of online privacy in the U.S. and worldwide, the role that ISPs play in an open Internet, and the future of government policy regarding the Internet. We're also going to be accepting a few questions for the panelists on Twitter and our livestream page. 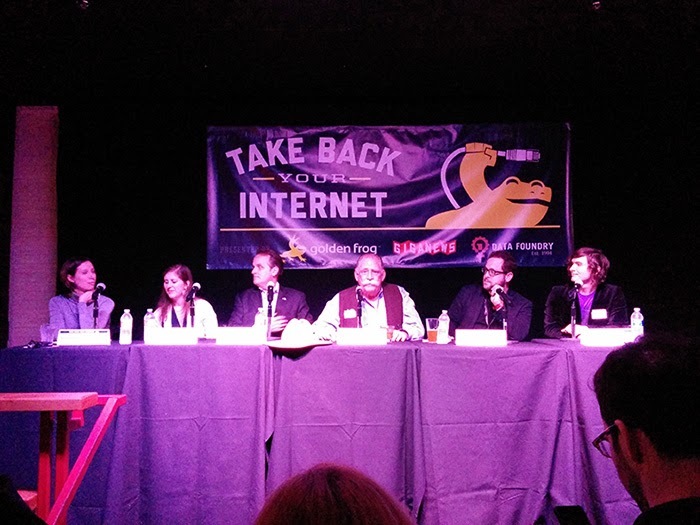 Just Tweet us your privacy-related questions with hashtag #takebackyourinternet and include @giganews in your tweet. Is There Any Online Privacy Left? What Does The Future Hold? We hope you can join us either in person at the event or via our Livestream. 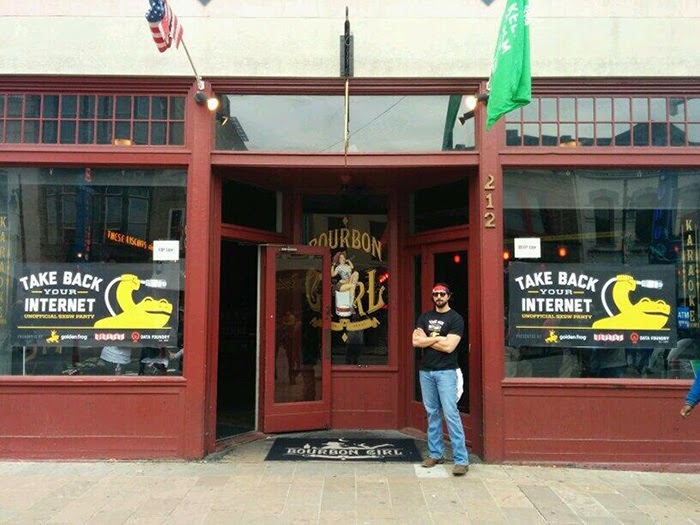 Don't forget to post comments or tweet your questions to us with hashtag #takebackyourinternet during the event. If you are in town, the event is free and doesn't require a SXSW badge. Our space is limited, so please don't delay in RSVPing. We hope you'll join us.